Ladies Party Dance Classes Cambridge - Birthdays - Party Lady Goes FREE! Giving everyone something to dance about! Main party lady goes free! 15 groovy themes to choose from! Go back to the 90s in this fun dance class! Get ready to groove with your boy/girl band classics. We have a mix ready or can do song requests too! ‘Come on babe why don’t we paint the town, and all that jazz!’ Learn the glamourous moves from the musical Chicago. Learn the Latin and Ballroom moves from Strictly Come Dancing at this fun themed dance class. It's a 10 from Len! Dance along to this fun Britney dance class which includes Oops, One More Time and Crazy! Relive the 1920s in this fun and flirty Charleston dance class. Think Great Gatsby and of course dressing up is welcomed! Get together your favourite pink ladies and learn fun choreography including Grease Lightening and Hand Jive. ‘OK girls let’s go get em’. Go to Cuba and back with a sizzling Salsa routine. This class will bring out your inner rhythm and leave you hotter than Shakira! We can create a fun routine to any Disney song, just let us know your request upon booking. Anything from Lion King, Aladdin to Beauty and The Beast! Mamma Mia here we go again, a great choice for the ladies party to dance along to the Abba songs from this much loved musical! Get ready to Spice up Your Life! Scary Spice, Baby Spice, Ginger Spice or Posh Spice, who will you be in this Girl Powered dance class. It's time to get your hens together and prepare for the 'Greatest Show'. Learn a fun routine based on this fantastic new musical. 'Saturday night and we in the spot... don't believe me just watch!' Learn some seriously funky moves to this chart topper by Mark Ronson. If there's a theme we haven't listed please contact us and I'm sure we can accommodate, we can also cater towards song requests. Stylish central location – venue hire included or we can come to you! Prize for the best dancer! Suitable for all ages and 2 left feet friendly! Main party lady or organiser goes free! To book it's a £50 deposit to secure the booking and the remaining balance is due 1 month before, up to which point numbers can be amended. 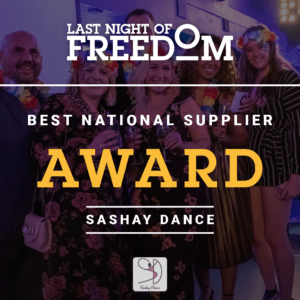 Enquire today because we can’t wait to something to dance about! Who will teach the class? One of our fun, friendly party dance teachers will teach the class! All of our teachers are very patient and will help guide you through the moves ensuring no one is left behind. We have a range of stylish venues in central locations that we use for hen party bookings. How do I pay for the party booking? An invoice is sent over and a £50 non-refundable deposit is required to secure the booking. The remaining balance must be paid at least 1 month before the event date. Our cancellation policy is at least 14 days of advance via [email protected] or 07801435665 otherwise the booking will be non-refundable. I don’t know which theme to pick, do I have to pick straight away? Just drop us an email 1 month before with the theme you’d like to do and we'll prepare a fab routine! We have a special song we want to dance to, can you prepare a dance? We have people of all ages attending and most complete beginners, does that matter? Not at all, our party dance classes are suitable for all ages, we love everyone to enjoy the dancing! If you do have elderly members coming to the class I would however avoid the Jive, as this is very fast paced and energetic. All of our classes are 2 left feet friendly as well. Do you have any other ideas and activities for our party weekend in Cambridge? 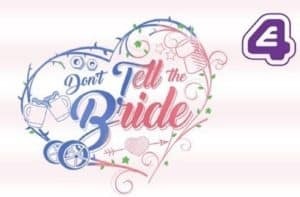 As seen on Don't Tell The Bride!